Subscribe to the youth mailing list and hear about events first. Sisters! 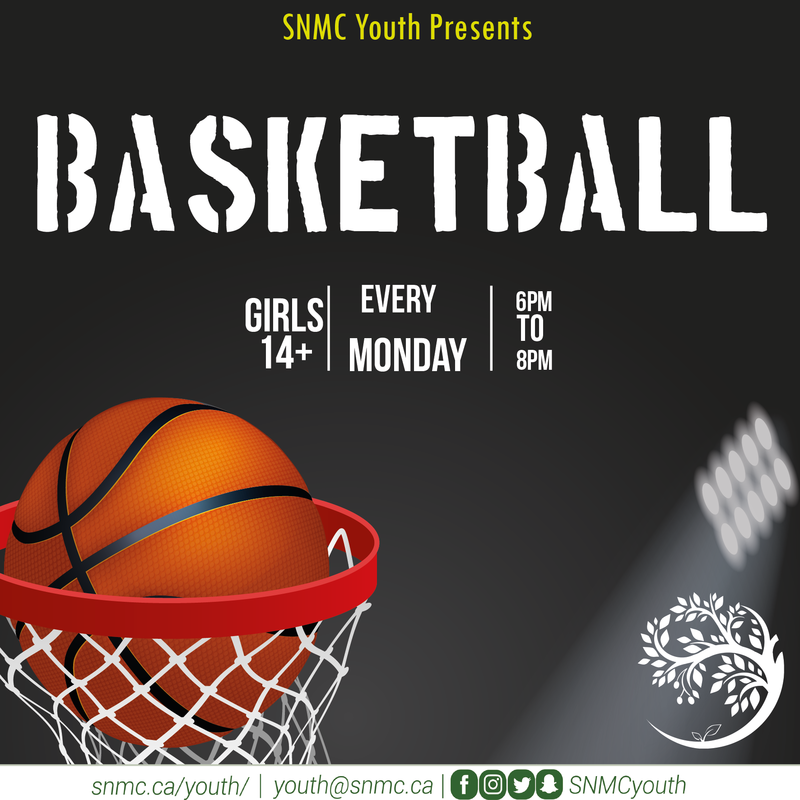 Come through every Monday night from 6:00 PM – 8:00 PM in the SNMC gym for a girls-only basketball game. 14+, free of charge &pizza included! 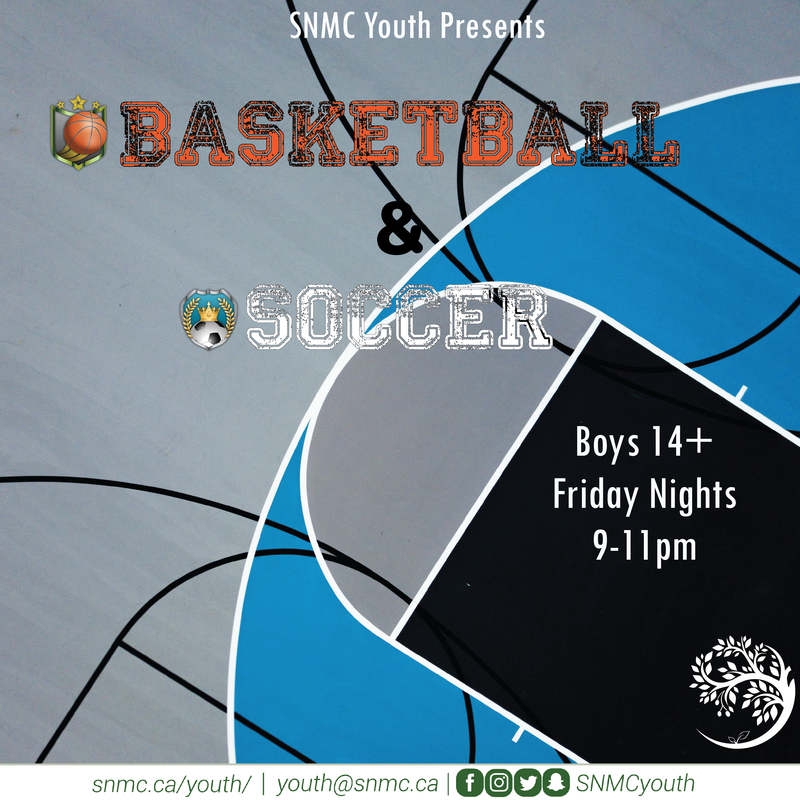 After 9:00 PM on Friday nights, the gym is free for brothers (14+) for basketball and soccer games. 14+ & free of charge. 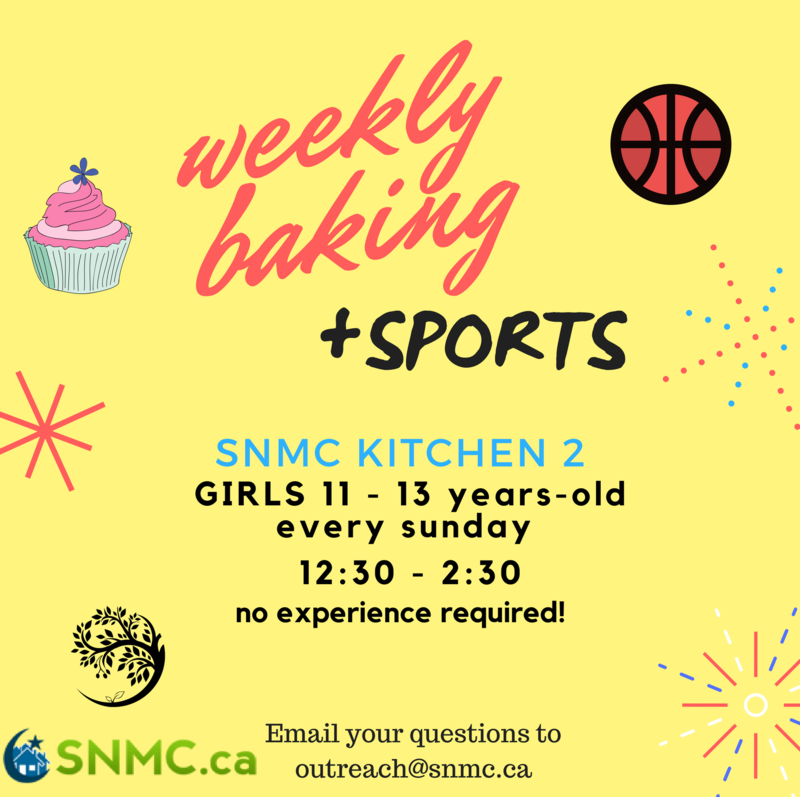 A fun activity for 11-13 year -old girls; come by the SNMC kitchen to bake some yummy treats and to learn cool & creative baking tips! We will be playing sports while the treats are in the oven. This activity will start at 12:30 and will be held for girls until 2:30. Don’t miss out – free of charge! 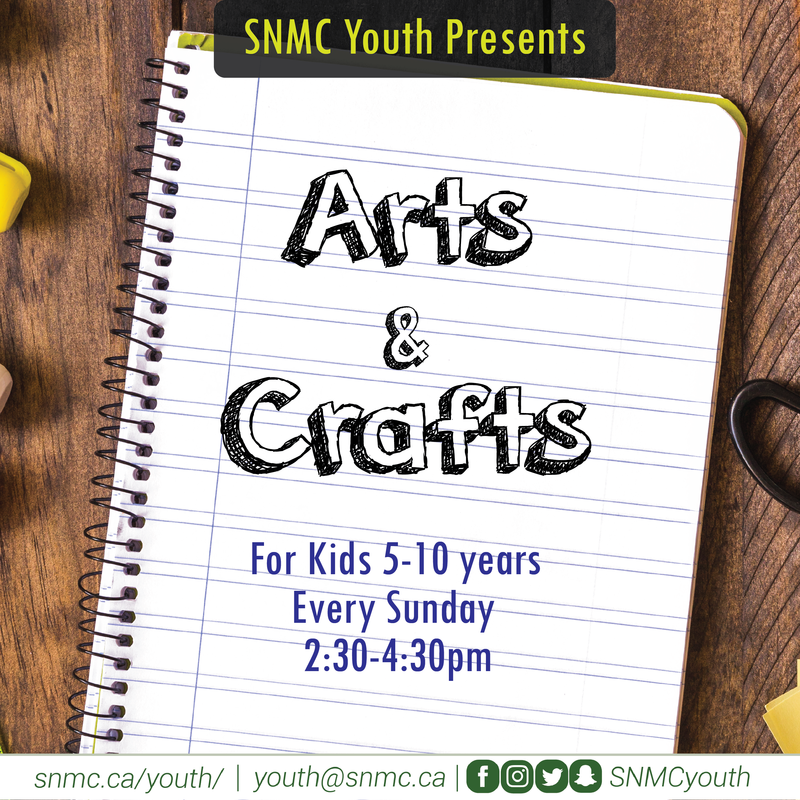 Drop off your 5-10-year-old girls and boys every Sunday at the SNMC gym at 2:30 for fun activities and creative crafts in an Islamic environment. Free of charge – pick up time starts at 4:00-4:30. 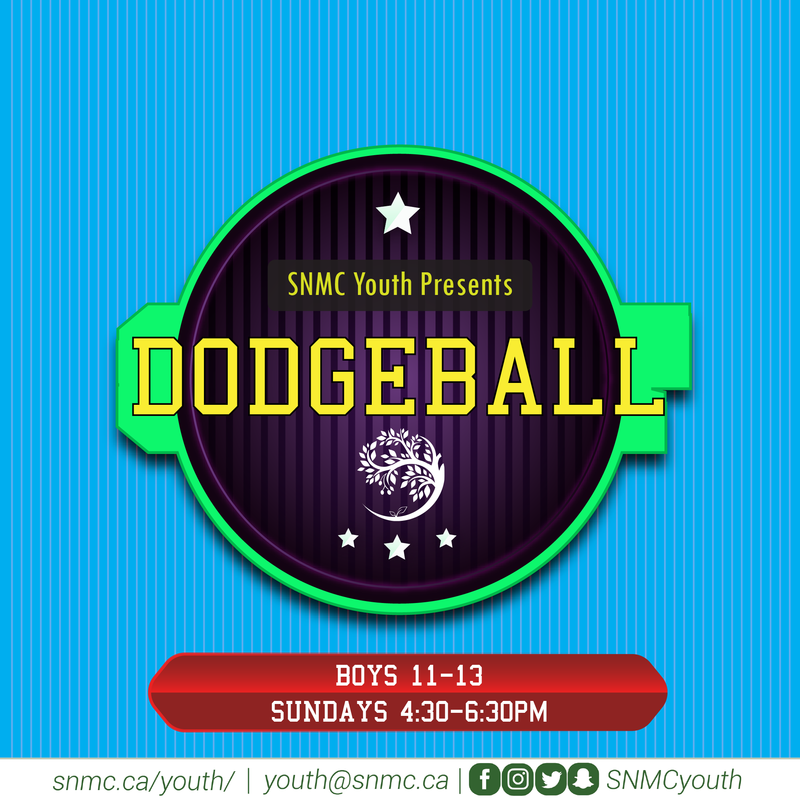 This weekly dodgeball program is perfect your our 11-13 year-olds. 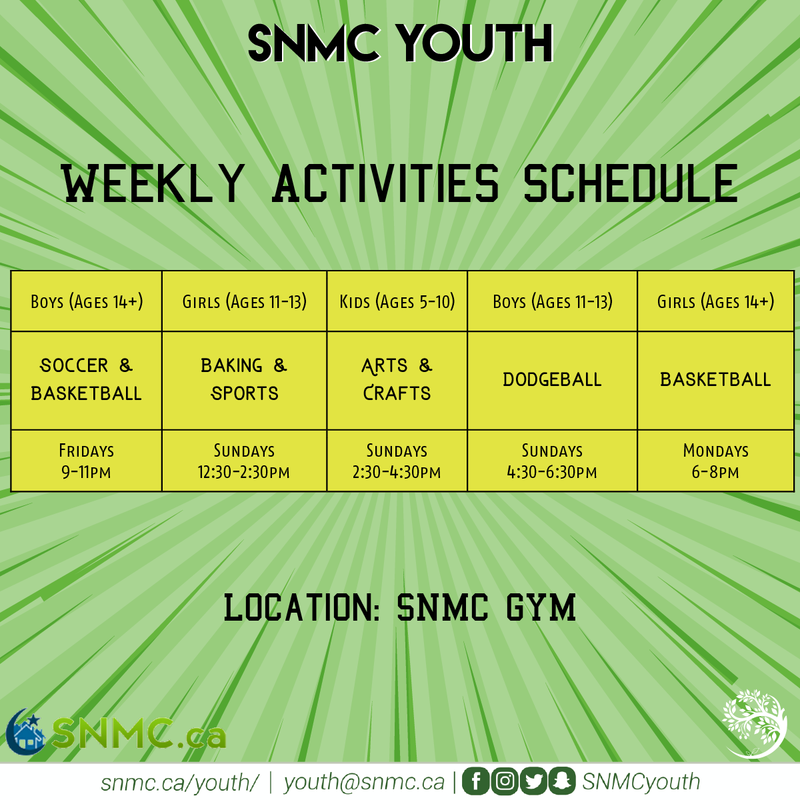 Drop them off every Sunday at 4:30 in the SNMC gym. Free of charge -make sure your children don’t miss this opportunity!